Following are the comments filed today with the California Air Resources Board regarding the state’s Advanced Clean Cars program, including its Low Emission Vehicle (LEV) and Zero Emission Vehicle (ZEV) standards. Consumers Union, the policy and mobilization arm of Consumer Reports, urges the California Air Resources Board (ARB) to continue to implement its Advanced Clean Cars program without regulatory changes. California’s Advanced Clean Cars (ACC) program both drives innovation in the automotive sector and broadens deployment of efficient and alternative fuel technologies that are already available. The passenger vehicle fleet takes years to plan and turns over in a period of decades; the long-term guideposts provided by the ACC provide a roadmap to ensure new technologies are readily available to consumers. The components of the ACC program–Low Emission Vehicle (LEV) III standard for light-duty cars and trucks and the Zero Emission Vehicles (ZEV) standard are on track to deliver a broad range of cleaner cars that reduce gasoline consumption, lower operating costs, diversify the vehicle market, and protect public health. California’s complementary policies to reduce emissions from the electric grid further enhance the public health benefits of plug-in electric vehicles in particular. Consumers want LEVs and ZEVs. While the ARB sets greenhouse gas limits, not fuel economy standards, consumer demand for better fuel economy is aligned with demand for vehicles meeting more stringent greenhouse gas standards. Consumers Union has conducted numerous surveys showing that consumers across the country want to see fuel economy continue to improve and recognize the positive pocketbook impact of fuel savings. In a 2016 Consumer Reports national survey, fuel economy was the number one attribute vehicle owners would like to see improved. Fuel economy topped the list of attributes that American drivers think have the most room for improvement, beating out: purchase price, connectivity, range, vehicle comfort, passenger room, safety, cargo space, reliability, horsepower, vehicle size, off-road capability, style, and handling. This finding was consistent regardless of vehicle type and across low- to moderate- income vehicle owners. Every segment based on consumers’ current vehicle type (small, midsize, large, and pick-up truck) identified fuel economy as the number one attribute that needs improvement, as well as all household income segments under $100,000. A survey by Consumers Union and the Union of Concerned Scientists (UCS) found more than half of California drivers are likely to consider an electric vehicle in their next vehicle purchase or lease, and more than 65 percent are interested in electric vehicles generally. The survey also found more than 65 percent of respondents want to see automakers offer more electric options across a variety of classes, including sedans, SUVs and minivans, and over half think that every automaker should offer a plug-in model for sale. Barriers to ZEV expansion are being addressed. According to the CU-UCS survey, the top three attributes that would improve the likelihood of California drivers buying an electric vehicle were: 1) lower purchase price, 2) 200+ mile range, and 3) greater selection of plug-in vehicle models. Fortunately, policy and market drivers are aggressively spurring improvements in these areas. The number of vehicles offering 200+ mile electric range is set to double this year, with many more long-range competitors on the horizon, as well as more plug-in hybrid models, which eliminate range concerns. Public charging infrastructure is also set to increase rapidly, thanks to state programs, private investment, and electric utility investment. And, while vehicle purchase price is a top concern, a large contributor of this concern is very low consumer awareness of incentives that bring several electric vehicles to cost-parity with internal combustion vehicles. Even in California, the UCS-CU survey found that 78% of drivers did not know about federal tax incentives and that 76% did not know about state rebates or incentives. Therefore, public perception of EV prices is about $10,000 higher than reality for most drivers, including low-income drivers trading in a used, inefficient vehicle who can use state-issued vouchers to purchase used electric vehicles. Ongoing education and outreach can help fill in this information gap. Industry complaints about cost and consumer demand are unfounded. price point has remained flat, when adjusting for inflation. Fuel economy (and safety) improvements have not caused the most affordable end of the vehicle market to become less affordable. On the contrary–consumers who bought an average vehicle in 2015 saved $523/year in fuel costs compared with an average vehicle in 2005. Many low-income families spend more on fuel than the price of the vehicle and tend to benefit more when new cars with improved fuel efficiency make their way to the used market. The second point is also contradicted by the evidence: ZEV sales have been growing despite low gas prices. In 2016, electric vehicle sales jumped 37 percent nationally from the prior year, and sales continue to accelerate. In January and February of 2017, EV sales were 70 and 68 percent higher compared to January and February of 2016. In California and the other nine ZEV states, EV sales jumped nearly twice the national average—up 65 percent from 2015 to 2016. Low gas prices, narrow selection, poor consumer familiarity, and paltry marketing budgets for the vehicles have not stopped EV sales from growing. Further growth is likely to unfold as charging infrastructure continues to expand and nearly 70 models of EVs will be on the market over the next 5 years. States need to continue to do their part to expand the ZEV market. fast charging infrastructure along major highways and corridors to keep up with higher EV ownership rates and more long-distance trips that result from longer vehicle range. Consumers Union blog, Survey: Strong Public Support for Improving Fuel Economy Standards in New Vehicles, http://consumersunion.org/2016/06/2016-fe-consumer-survey/. 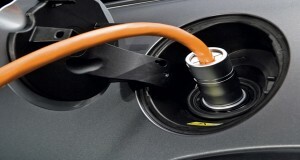 See Consumers Union Press Release on California EV survey, http://consumersunion.org/news/ev-survey-in-california/. The full results of the survey and methodology can be found at: http://www.ucsusa.org/sites/default/files/legacy/assets/documents/clean_vehicles/UCS-and-CU-Electric-Vehicle-Survey-Methodology.pdf. Alliance for Automobile Manufacturers Statement before the House Energy and Commerce Committee, presented in September 2016, accessed at: http://autoalliance.actualsize.me/wp-content/uploads/2017/01/Alliance-House-Eand-C-Testimony-9.22.16.pdf. Global Automakers Statement on ARB Staff Report, issued January 2017, accessed at: http://globalautomakers.org/system/files/document/attachments/press_release_-_carb_staff_report_1_2017.pdf. “More Mileage for Your Money: Fuel Economy Increases While Vehicle Prices Remain Stable,” Consumers Union, published March 15, 2017, accessible at: http://consumersunion.org/research/more-mileage-for-your-money-report/.